Ever since the global financial crisis reached its peak in 2012, many investors have turned their attention to tangible assets in hopes of greater monetary stability and security. 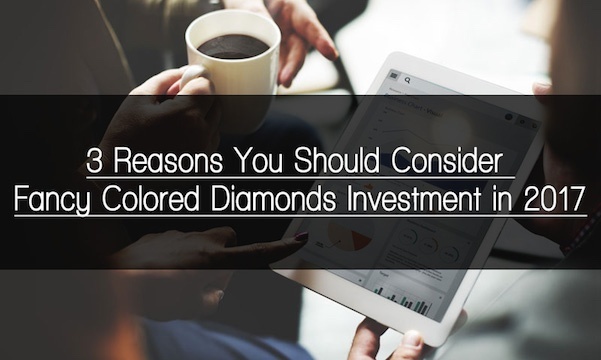 Among gold, oil, real estate, antiques, wines, fine arts, and classic cars; Fancy Colored Diamonds (FCD) have gained significant popularity as a viable alternative investment. In this article we will be covering 3 main reasons for why you should be considering FCDs as an alternative investment. It is no secret that FCDs hold immense rarity, as they constitute only 1% of all diamonds mined on a global scale. Further, the task of finding such stones in existing mines requires large amounts of luck, as well as numerous labor hours and intensity. Among this 1%, the highest valued FCDs are those with prevalent and unique hues such as red, blue, green, and pink. Of course, greater color vibrancy, carat weight, and clarity translate to greater value. 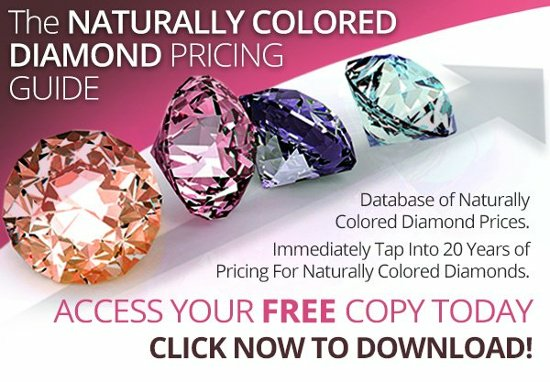 For more information on how to get started on your first colored diamond investment, click here. It is also worth mentioning that unless new mines are discovered, the production of such precious stones is expected to greatly diminish in the next 30 years. This is further supported by the fact that major contributors, such as the Argyle mine, will be ceasing operations in the near future. It can be assumed that this will not only increase the rarity of FCDs as a commodity, (and even make certain diamonds such as the Argyle Pink diamonds finite), it will also cause an exponential increase in their value. Throughout history, the value of FCDs has been largely unaffected by national and global recessions, and political turmoil. In fact, research has shown that FCD prices have not experienced any noteworthy depreciation for the last 4 decades. As we mentioned above, in addition to contributing to heightened demand, rarity also provides a great safeguard for value. Their limited supply, great demand, and unique nature have not only helped these alternative assets retain their wholesale value during challenging socioeconomic times, in some instances they have even shown to create substantial appreciation. Unfortunately the same cannot be said for other investment alternatives such as stocks, bonds, and gold. This, coupled with the fact that they are not directly correlated with other assets, has led to substantial price retention. These are without a doubt one of the most practical alternative investment assets. Why? They hold immense concentration of wealth. In essence, this greatly increases their portability and makes safekeeping a very easy process. Unfortunately the same cannot be said about gold, classic cars, antique furniture, real estate, land etc. Their nature and tangibility allow for a multitude of insurance options, therefore adding another layer of monetary security to your investment. “Diamonds are forever.” Their quality, durability, shine, and color will not diminish over time and could in fact be passed on for generations. They can be worn and enjoyed by being embedded in jewels (also acting as a status symbol for their owners to exhibit). In the past decade a multitude of fancy colored diamonds have shattered records in public auctions such as those held by Sotheby’s and Christie's. It is therefore safe to say that these precious stones have remarkable resell value, but is this the right choice? It is natural for many people to wonder if their investment can be resold or liquidated if ever needed (or if they just wanted to make a quick profit). However, contrary to stocks, bonds, and gold, which can be liquidated with great ease, the ability to resell FCDs (and other tangibles to that extent) yield a fair bit of complexity. Despite being of great importance, liquidation alone should not be the main determinant of a long term investment. It is important to understand that as an asset, the true value these precious stones comes from their lasting ownership and timeless nature. Eminent drops in supply, coupled with the heightened demand, ability to secure their value, and practical nature calls for immediate action by anyone interested in investing in these precious stones.